MILAN, April 8, 2019 /PRNewswire/ — Once a simple means of transport to get from one place to another, the concept of a vehicle is rapidly changing by intertwining the boundaries between our lives and automobiles. At Milan Design Week, under the banner ‘STYLE SET FREE,’ Hyundai will highlight its innovative vision for how vehicles will become individual living spaces. At Milan Design Week, Hyundai presents a personal, interactive multi-sensory exhibition of light, color, form, sound and material. Hyundai offers a future-oriented customer experience vision that enables people to create their own life space inside their vehicles, thanks to upgradeable products and services. After all, we personalize our living spaces with various gadgets and technologies. Soon, we will personalize our vehicles too. With STYLE SET FREE, Hyundai demonstrates the need to create the “perfect space.” The question of what form it will take is left to people to decide using their preference. The centrepiece of the exhibition is the “Sculpture,” an artful interpretation of STYLE SET FREE. 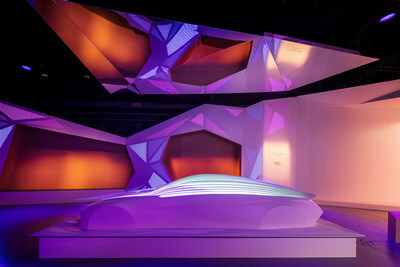 The constantly-changing, creative and gripping mapping installation illustrates three key interior elements of Hyundai’s new brand experience: Color & Light, Material and Shape & Sound. To see full press release, please visit our Global News Room. 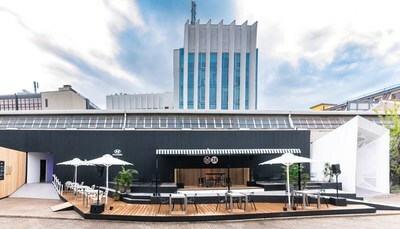 Now in its 58th edition, Milan Design Week is a showcase that mixes business with culture, as well as shaping the future of design and furnishing. On average, more than 370,000 attendees attend each year from 188 different nations. Established in 1967, Hyundai Motor Company is committed to becoming a lifetime partner in automobiles and beyond, offering a range of world-class vehicles and mobility services in over 200 countries. Employing more than 120,000 staff worldwide, Hyundai has sold about 4.6 million vehicles globally. Hyundai Motor continues to enhance its product line-up with vehicles built on solutions for a more sustainable future, such as NEXO — the world’s first dedicated hydrogen-powered SUV.